ï»¿ Free Online Remove/Delete Duplicate Lines ( Words , Numbers ). Free Online Remove/Delete Duplicate Lines "(Words,Numbers)". 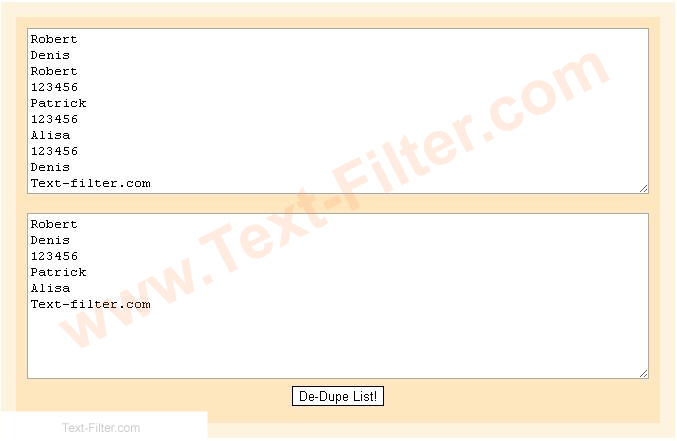 Free, Online Remove - Delete Duplicate Lines (Words,Numbers). Simply copy and paste your Text into the "Text-Area".